With a substantial wood grain texture embossment, Raynor ShowCase brings beauty and instant curb appeal to any home. But good looks are just the beginning. 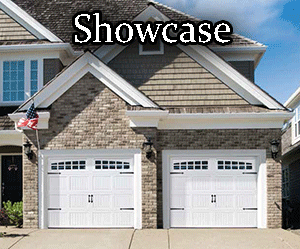 Beneath the surface, ShowCase is also one of the most stringently engineered garage doors you can own. Its strong, two-sided, steel design provides superior strength, unrivaled durability, and unsurpassed protection against noise, impact, and weather.